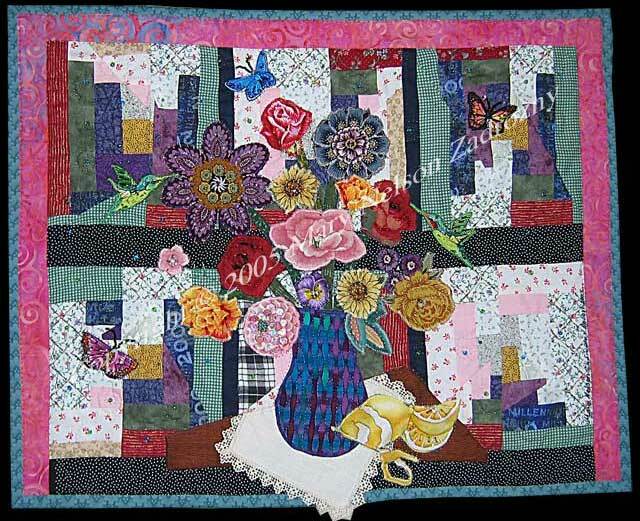 Title: "I Did It My Way - Vase of Flowers"
Quilt Description: One of those quilts that starts out with just playing with fabric and letting it develop on its own, going wherever it leads me. A happy experiment that was a lot of fun to make. Materials: Cotton fabrics, polyester batting. 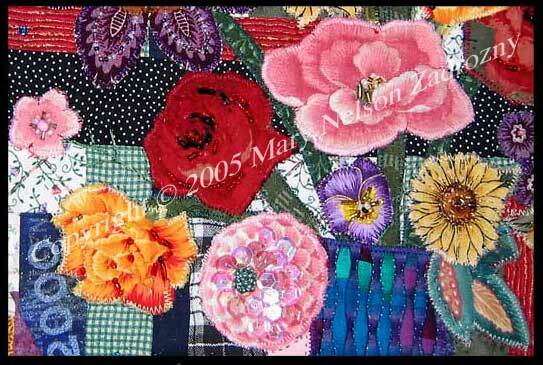 Embellished with vintage doily, beads, sequins. Techniques: Fusible and Raw Edge Appplique, Hand-Quilted.